People who know me, know how obsessed I am with designs. I can get very excited about beautiful covers, but I can also get super enthusiastic about Blog Designs. Some of you might know that a few years ago I actually also designed blogs. When I realized that my skill level does not satisfy my own high standards I stopped and let more professional designers beautify blogs. What I want to discuss today is how important a good design is for the success of your blog. This post might be very subjective because everyone likes different things so, keep this in mind while you read on. I kept obsessing over the Bookworms layout until I found Twani from Forever Designs who created the most beautiful layout for us. It was much more than I could have ever imaged and I’m thrilled and excited every day I look at it. And even after more than a year I am still very much in love with it! A layout should reflect your personality and theme of your blog! 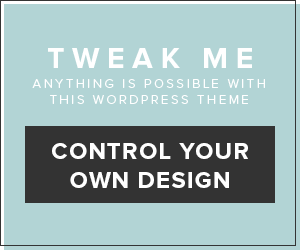 I think a layout should have something from your personality and the theme of your blog. We here are the Bookworms are very romantic at heart, but at the same time we modern, laid back and like things to be clean and organized. I think Tawni captured our essence perfectly with the romantic book in the header, the beautiful watercolor elements but then, the font is super clean and we have a plain white background! As we are spending so much time on our blogs and with our Blogs I think it’s also important that we like to look at it.. But, that might be just me! I look twice at beautiful Blogs! I’m being honest, when I stumble upon a blog with a beautiful layout I stop and look around. When I love the design, I am more inclined to check out the blog. I also admit, that some blogs which do not appeal to me visually I move on instantly. That might be shallow from me, but is still very much true. Design and Beauty matters to me. It also shows me that a blogger is dedicated and cares not only about their content but also about the rest. Of course, the content it what matters the most in the end, but often a blog must catch my eye first before my mind as a chance to catch up. I absolutely adore this design and it is sooooo fitting to Elena and her style! One sees directly that the blog has something to do with books because of the small bookish elements but at the same time this blog includes a lot of music! It’s different and unique! Perfection!! Book Chick City – we see a city in the header and the awesome Urban Fantasy chick. Sure there is no book, but it’s in the name so I don’t care! Love it. The colors are awesome and the rest is super organized , structured and clean! Seriously, one of the prettiest designs out there!!! It’s so damn beautiful that I would love to stare at it constantly! Ah… what would be one of my posts without Jenny. I love her layout because it so perfectly fits her. She played a lot with different fonts and it#s both clean but also romantic, flourish and whimsical. the layout perfectly reflects Jenny’s personality and review style! Parajunkee is just perfect in branding herself! This is a site for grown up and .. she loved all things paranormal, right? The name together with the girl and the blood tells me exactly where I am right now! Ashley has just the perfect design for her blog and for herself! It’s funny, cute and a little crazy exactly like her! 🙂 So yes the Zombie Queen perfected her layout! There are a lot of amazing and talented designers out there. Often, they are Book Bloggers themselves so they put a lot of love and passion in their designs and understand a book bloggers needs! Do you care about a design of a blog, or do you not care at all? Do you also tempt to run away from a blog where you do not like the layout? « My Friday Love – Summer – Heat – Beach Reads 2013! Honestly, your blog design is my favorite! I especially love your cute little ratings. I just think the whole blog is really well designed. *huggles* Thank you Emily, I am so happy you like it!! Danny recently posted..Discussed! 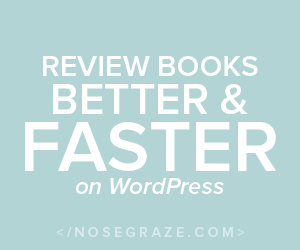 Book Blog Design – How Important is a beautiful design? YES! YES! and YES! I do believe having a blog design should reflect your personaility. I wish mine did but right now I don’t have the money to hired one of those fablous blog designers. I need the whole thing to make my blog suit my personailty. I don’t have a rater or a avatar such and such. Some day soon I will get my blog up to par. I wish I could do what those talented blogger designers do but I’m not that saavy, I may be good with computer stuff but not web desiging. Theres a lot I wish I had to for my SassyCat’s Books Review Blog but being unemployed kind of put things on hold and being a student also does that. You can always try yourself! That is how I started – I had no idea about it but then watched some tutorials and things like this and just played around until I had something I liked. It can actually be tons of fun playing around and learning. Like Danny suggested you could try it yourself. Or someone could offer to make one up for you. I’d do it, it wouldn’t take me very long at all. I’d be glad to help. If you wanted. And Danny I love your design! Viaria, that is so incredible nice of you to offer your help!!! I stalk well designed blogs too and love the art and work it entails. I absolutely love your blog design and the others you’ve mentioned look great too at least from the headers. I’m drawn to the whimsical like Supernatural Snark and Ravenous Reader. Thanks for the designer recommendations, I wish I had their talent! I love Jenny’s (Supernatural Snark) Header – it is so beautiful and pretty. And Ravenous Reader? There is so much beauty in this design that I have no words :)) So happy to hear you like mine 🙂 wooT! And yep, I stalk also designers and can spend hours looking at their portfolio! sooo much telent! While I love a pretty blog..ease of navigation and content is what keeps me coming back. Can I find most recent post? Can I read it? I personally have trouble with black background. .I have to copy and paste review into word to read them. I so agree the blogs you mentioned are lovely and match their title, branding etc. I tend to like simple pages that aren’t overly busy. But If the content is good it doesn’t matter what the blog looks like. Great post! Ohh YES You made a good point! I hate black backgrounds too – it makes reading so hard. I like light blogs and I think a white background (or something light grey) is a must have. And seriously, you go and paste blog post into word? that is dedication my friend, I would honestly just move on… Also, I hate weird fonts that also makes it hard to read! Design is nice, and there are some I like more than others. But for me I want to be able to actually read the post. Not with a dark background with lines of white, if you know what I mean? Oh yes, I hate black backgrounds and white font – this is horrible on the eyes and just hurts to read. When then you add a weird font it has nothing to do with design anymore! I completely agree with you! When a beautiful blog catches my eye, I will look. For me to keep coming back to it, it also needs to be easy to read and navigate around. The look is what gets me to come to the blog. And it’s fun to see a person’s personality in the blog. My blog is at the bare minimum right now and my next big goal is to redesign it. I’m always on the hunt for recommendations. Thanks for posting some! I love y’alls site. There are some amazing designers and they all have very different price ranges which are also not too expensive. I love when I stumple upon a pretty design and then I just love to stay and look around. When then the content is also good, I’ll stay and happily come back! The work that these designers do is just beautiful. Internet artist. I love all the different prices I’ve seen. A beautiful design is the first thing that attracts my attention. When I come across a blog with a beautiful layout (like Elena’s), I can’t help but stop and explore the blog. The content of the blog might be the thing that makes me return frequently, but the design is what attracted me in the first place. I love designs that are simple, but has some sort of color/personality to it (that isn’t overwhelming or distracting). The less clutter, the better! Besides Elena’s, I love Rather Be Reading’s, The Story Siren’s, and Beneath the Jacket’s. I really love Anna Marie Moore Designs. Thanks for the design recommendations! I love Elena’s Blog!! sooo unique and different and cute! I just visited your blog and I love your simply but truly cute design! Oh and YES for Rather Be Reading!!!! I knew I forgot one of my favorite designs because I love this one! Anna Moore has such a pretty style, love her designs too! A design is incredibly important to me, I can spend ages deliberating on minor details on my blog design because every aspect matters. A bit of a perfectionist I am haha. I tend to gear towards blogs which have an accessible and easy to read design, I know not everyone can purchase a paid design so I don’t expect every blog to have them. But some blogs are make it very difficult to read their text because of the various fonts and colours they use, plus the whole layout of their blog is aligned weirdly because of all the various widgets they put on their sidebar. I’m less likely to want to stay on that blog because they’ve made it very difficult to read their posts. Oh Charlotte, I love your blog too – love the colors and the super cute logo. Sure, not everyone can pay a designer, but there are sooooo many free designs and themes to install that all have to do is look for it. I hate when someone is using weird fonts to pimp their blog, but then it often goes into the wrong direction and makes it hard to read the posts, which basically is the purpose of a blog right? I’m the same as you – I will look twice at a well designed blog – it will make me look around and check out other posts. Plain, stock blogs don’t inspire ,e.
Yep, it’s sad because some blogs might have amazing posts but shallow-ol-me won’t stay long enough to figure this out..
Yep! This! I visit a TON of book blogs for work. I see lots of pretty sites, but too often click away without being able to use them because the navigation/organization is poor or the site just takes too long to load (book blogs are more image heavy than your average blog with all of the book covers we put up!). Yes book blogs are heavy on the images and I’m even worse ;(( Bu you are right about Navigation is should be easy to find other content! My blog’s about due for a change (I love Fiona but she’s been around for a while in those same positions…) so I’ve been looking at a lot of different designs. I’m drawn to the simple and clean designs but I also want it to be pretty and easy to navigate (like yours and Jenny’s). I definitely agree about the dark background — too hard to read. If a blog’s messy or hard to navigate or has a ton of crap all over the place, I’m not going to stay long. Mary @ BookSwarm recently posted..What’s with the rash of cliffhangers lately? Discuss. The look of a blog isn’t as important to me as the content. The blog might look amazing, but if the content falls flat I’m not coming back. I did, though, worry about the look of my blog and spent time designing it myself. But I’m also a photographer, so designing and shooting the pictures was fun to do. To me it’s not about pretty pictures. (You can probably tell that from my blot.) It’s about ease of getting around and reading what I want to read. I like your blog because it’s so CLEAN and WHITE and easy to read. I don’t like blogs that just have a picture of each of their posts, and then you have to click on the picture to read it. I know that’s “cool” but I don’t like it. A preview of each post and then click to read the rest is OK, just not the rows of pictures. Frankly, I’d rather spend my money on books than blog design. Someday I’ve vowed to take the plunge, but it hasn’t happened yet. Just remember that some of your readers’ eyes aren’t that young and make the font and colors easy on us. Also, unfortunately, I read a lot of posts in a reader, where most of this conversation is irrelevant. Annette recently posted..Stacking the Shelves — Summer Fun! I love it that I made my blog design myself. I chose my mom’s favorite colors as a tribute to her, the person that led me to reading. I even adapted my own icon, which I now use for everything. Your blog is so cute!!!!! And I absolutely live the colors and the icon is incredibly cute!! Isn’t it amazing when you create something so cool yourself!? *huggs and kisses* makes me excited to hear you like our design!!! Oh and you shouldn’t worry about moving to WordPress. The girl who moved my blog also transferred the layout;-))) it looked nearly as it did when we were still on blogger. Thank you, so much for giving a shout out to my blog design. I loved it from the first moment I saw it and don’t even want to change it. I also adore your blog.It is very pleasing to the eye and the color scheme is beautiful. Nancy, your blog is one of the most beautiful blogs I know!!! Tawni did an incredible job with your design ;-)). This is such a great idea for a discussion post! Blog design is extremely important to me as well, which is why I commissioned the help of a professional when I began my blog. I knew I wanted it to look clean, professional, and easy to read while also retaining a bit of my quirky personality and a dash of colour. I think Cindy did an amazing job with my blog, and I can’t say enough positive things about how lovely it was to work with her. Perhaps it is shallow, but like you, blog design is also important to me in terms of which blogs I read regularly. No matter how great the content is, I’m simply not going to read a blog that has glaring white or lime green text on a black background. If a blog is visually appealing, I’m much more likely to return to it on a regular basis. I’m a fan of the design of Rally the Readers, because the art is all done by hand. No one else has a similar design to them when it comes to the visuals. Sometimes, I think a lot of the beautiful blogs all tend to look alike and become blurred, especially if everyone is using the same designer and trying to go for the same elements that made the original beautiful blog, unique. Blog design is a matter of taste. Some blogs I would consider amazing, others I may not like and vice versa. While, I do like a good blog design I try not to judge a person’s blog by design alone. There was a time I couldn’t afford to have a nice personalized blog, and as long as the content calls out to me that’s all that really matters. If you want a personalized WordPress blog, those become even more expensive, than Blogger. I can’t fault someone for having an “ugly blog.” You have to start somewhere and it’s not like blogging brings in the major extra cash to do all those things like make over designs and even things like giveaways. They usually come out of the blog owner’s pocket. Since I read mostly everything, through Feedly, it’s not like I experience the blog design layout on a weekly basis, so blog design isn’t as important to me. I think if you’re a new blogger, or an older blogger with an extremely limited budget, you shouldn’t get worked up, because your design isn’t pretty enough. As long as you go for a clean and simple design that’s easy to read, people will come. There are some bigger bloggers out there that have a rather plain blog, but in the end, they’re big because of their content, not because of the design. I agree with you- design is so important. I think your blog should represent the blogger. We couldn’t afford to get a custom template for the blog but we was still able to customize the blog template we picked with a slider & different colors and menus. It’s so important to leave an impression and remain professional. I remember many bloggers by their designs. Great post btw, it was cool to read other people’s thoughts. Blog design is SUPER important to me. Honestly, when I’m looking at new blogs, I will probably x out pretty quickly if I don’t like the design. This gets even worse if the site is laggy, too crowded, or unreadable. But if the design is great, I’m more likely to proceed to read the posts! I adore the design here at Bewitched Bookworms!! It’s fun to think how the design here has changed over the past few years. I love this soft watercolory look! SO many pretty blogs out there,…Ravenous Reader is one of my favorites, too. I admit to a little shallowness, too—I like my blogs like I like my books: pleasing to the eye! It really is the same thing as with book covers, you have to catch a reader’s attention with the look before they will stop and read. Content is super important if you want to make people stick around for a long time, as well as ease of navigation, but you’ve got to catch their eye first. I do read a lot of blogs that are plainer in design, but usually I don’t find them by just browsing blogs. I’ll find them through other blog’s links or linky lists to a review or content that I want to read. On days that I’m just hopping around to blogs, it does usually take a little eye candy to get me to stop for more than a second! Overall I like the “plainer look” Too many widgets & buttons & images can make it look too cluttered and I really cannot stand that.Also when people use a black background,9 times out of 10 I don’t stay around for long.The same goes for those who use multiple font colors.I find those very headache inducing. I use a purple background because purple is my favorite color and it’s very “me” For the text portion,I make sure that the background is white and then I use 1 color for the font. Notice I said one color.Not ten. I’m in the process off adding more to the blog but I’m trying to keep it as uncluttered as possible. thank you so much Danny, this post made my morning! Probably my whole week. Forever designs are designs that I gawk at every time I see them, they are so beautiful. She has a simple style that has depth, something as a designer I’m not that good at. You figure out your strength and weaknesses quickly… and that has always been mine. Your site has to be one of my favorites of hers though, that and her own design. I like Cuddlebuggery.com – their reader is very iconic. But enough of my rambling. Thanks for including me in your post and along with some great girls, Lori, Evie and Hafsah are some great company to keep, all phenomenally talented ladies. Your blog design is really cute! I wish I could design my own blog. I’m trying to get into photoshop and everything, but it looks so hard! Reem @ I Read And Tell recently posted..Too Brave or Too Stupid? Awwww Danny I love you! Thanks so much for featuring my blog with all these other gorgeous ones! Mine’s not as fancy as some (your stunning blog included), but I’m pleased with it. I really love the design for Novel Sounds too – such cute icons! I could not agree more…I am so much more tempted to stay and look around a blog if the design is lovely (Like yours!!!) and Jenny’s is one of my favorites too!!! Great topic! I agree, blog design is extremely important, at least it is to me 🙂 I’m definitely one of those who (sort of) judge the blog/blogger by the look if their blog. I absolutely adore the look of Novel Sounds and am in love with the header (butterflies!!) of Bewitched Bookworms. Great post! I have to agree — a great blog design will stop me in my tracks and make me pay attention. The fantastic design for Bewitched Bookworms is definitely what first caught my eye! I’ve also loved the design for Novel Sounds ever since I first found that blog! Thanks so much for the list of links to designers. I’ve been looking into getting a new blog design! My blog design was very important to me since I knew that if I didn’t love the look of my blog, I would dread logging in every day! I definitely judge a blog by its design to begin with because if I can’t read the text due to crazy colors everywhere (on black D:), then I’m not going to be able to appreciate their content. I have to admit some grass is always greener though, since I know all the imperfections of my blog and wish that mine was as perfect as others I see, haha! Anya recently posted..It’s Summer, Time to Look Pretty! I love your design. It was the first thing that attracted me, as is usually the case. I love clean, crisp designs. My blog currently reflects me. I wanted something that says I can be girly and love zombies too, but I have a feeling I’m going to tire of it soon. That’s another issue I have… I get the “itch” to change my design too often. LOL. My favorite designs, aside from yours, include Bookish Brunette, Lemonade Library, Respiring Thoughts, I Swim for Oceans, and Book Rock Betty. Book Bloggery Week-in-Review (14) | Oh, the Books!